You will be picked up from your location in Waikiki/Honolulu area around 9 am ( if more than one parties included in the group, different pick-up/drop-off locations may apply ) and taken on a half day journey in the heart of the Hawaiian Islands - the gathering place, Oahu! The guide/driver will reveal to you many facts about Hawaii and along with the unforgettable scenery of a tropical paradise, you will also take a glimpse of the essence of our islands and people. In this tour each site has been uniquely selected for its power to engage and support personal discovery. 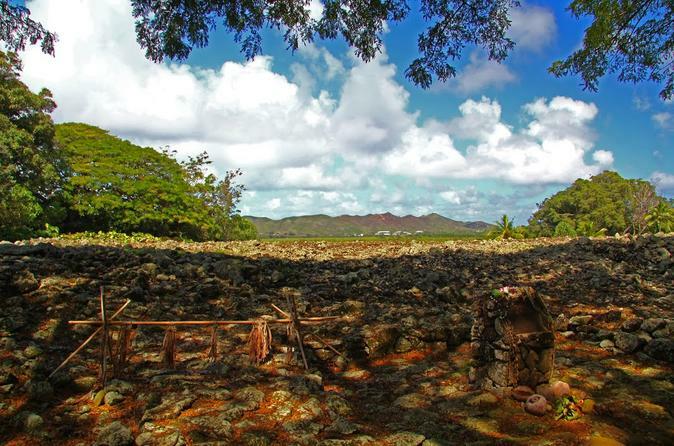 Throughout our time together we will be sharing stories, introducing you to spiritual practices of Hawaii, historical, geological and cultural facts about the islands. Some of the places you'll visit: Nu'uanu Pali Lookout, Byodo-In Temple ( $5 adult fee not included in tour price ), Ulupo Heiau State Historical Park, Makapu'u Point Lookout over the Healing Tide Pools, Hare Krishna Temple, Echo Whales Chamber at Kaka'ako Park.